Samuel Smith was born in Glasgow, Scotland, on 29 January 1857, the son of David Smith, shoemaker, and his wife Elizabeth, nee Munro. In 1888 at Sydney he married Ellen Gorman and had one son and four daughters. He died at Lilyfield, Sydney, on 22 January 1916. He was a Presbyterian. Samuel Smith was educated at Kilwinning,Scotland and became a colliery lad at age 11. He was later active in the Glasgow Railway and Seaman’sUnion. 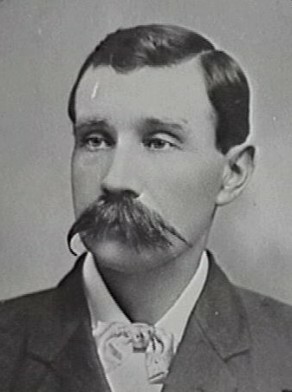 He arrived in Sydney in 1882. He was a founding member of the Seamen’s Union, becoming assistant secretary during the 1890 maritime strike, and secretary from 1891 until 1902. He assisted to reorganise wharf labourers in Newcastle and Sydney. Smith also became president of the Steward and Cooks Union and president of the Shore Drivers and Firemens’ Union. In 1902, after his parliamentary term, he became the employee’s representative on theArbitration Courtbut resigned on health grounds. Smith was elected member of the Legislative Assembly for Sydney-Pyrmont from 27 July 1898 to 30 March 1902. Sam Smith was elected Alderman for Pyrmont Ward, 7 December 1900 to 30 November 1902. He was a member of the Health and Recreations Committee, the Finance Committee and the Parliamentary and By-Laws Committee 1901-02, the Labour Advisory Committee in 1901 and the Staff and Labour Committee in 1902.